Each and every wine lover must be aware of the wines from Bordeaux region of France. Yes, you are right; I am speaking about the largest winegrowing region of France. With a total area of around 120,000 hectares, this region is contributing more than 700 million bottles of wine every year. Having known this fact, you must be curious to know what grape varieties are used in the world famous Bordeaux wines. In simple terms, Bordeaux wines are the wine types that are made in the Bordeaux region of the country. A majority of wines that are produced in this particular region of France is red wine (around 89%). The remaining part of the total winemaking of the region would include the following types. In total, there are over 8,500 producers of Bordeaux wines and these wines have got 54 appellations as of now. In total, in Bordeaux, ten grape varieties are allowed for wine production. 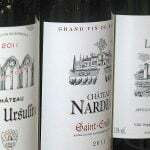 It is to be noted that the labels of Bordeaux wines won’t have the information of grape varieties used in that particular Bordeaux wine. 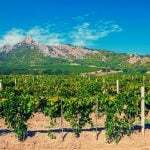 Knowledge on the grape varieties used in these wines would help the wine lovers to select Bordeaux wines without much difficulty. Merlot: This is the most dominant grape variety of Bordeaux which is grown widely on the right banks. This is an early ripening variety which is extremely aromatic. Cabernet Sauvignon: This grape variety is predominantly found on the left banks of Bordeaux and is a late ripening variety. This grape variety has plenty of tannins thus providing the wines with the structure, durability, and depth. Cabernet Franc: This grape variety can be found on the right, as well as left banks of the Bordeaux region. This grape variety is particularly known for its supporting role to the Bordeaux wines. They have spicy aroma and tannins thereby giving the wines the peppery accents along with violet touches. Malbec: This grape variety is grown in smaller quantities in Bordeaux region when compared to the above-mentioned ones. However, this is being used in the blends and contributes to the softness of the Bordeaux red wines. Petit Verdot: This again is grown in smaller quantities and can be found in blend varieties of Bordeaux wines. This grape variety is found to be responsible for the serious strength, as well as the body of the Bordeaux wines. Carmenère: This is the least used grape variety and is found to give a typical herbal taste to the wines. Sauvignon Blanc: This grape variety can be seen widely distributed all around the Bordeaux region. This is being utilized in the production of both dry whites, as well as the sweet whites. Sauvignon Blanc is known for its grassy aroma, brighter acidity, and a balanced fruity flavor. Semillon: This is the largely grown white variety of Bordeaux and is known for giving flavor, creamy texture, strength, and structure to the Bordeaux white wines. Ugni Blanc: This grape variety is known for giving a pale yellow color to the wines. Although this is not very aromatic, it is found to give a banana flavor to the wines. Muscadelle: This is known to produce a delicate wine with a strong aroma. 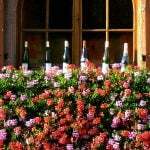 Muscadelle is known to give a mix of acacia, honeysuckle, and musk aromas to the wine.